Helloo everybody! I'm so sorry I haven't blogged in over a month but I've been a little busy. I did kind of explain on Instagram the other day but the sum of it is basically that in July I tried to spend most of my time with family and friends and then at the end of the month moved back to uni as 1st August I started my placement and moved house... Of course I couldn't not do my nails at all so I continued to post on Instagram which you can find here. I am now making my return *fingers crossed* to blogging and today I'll be showing a few polishes I recently got from UK indie For Your Nails Only. 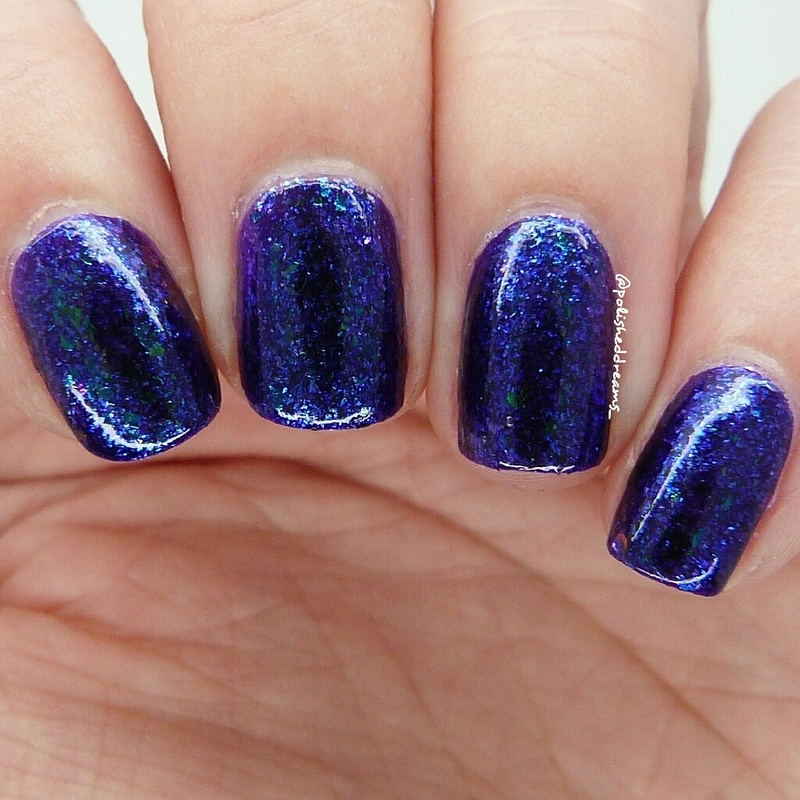 First is Precious Mulberry which is a polish from the Enchanted Holo Collection. This is a deep purple with some gorgeous gold holo and sparkle and a great formula. Swatch shows two coats with topcoat. Yet again another purple polish that I love! 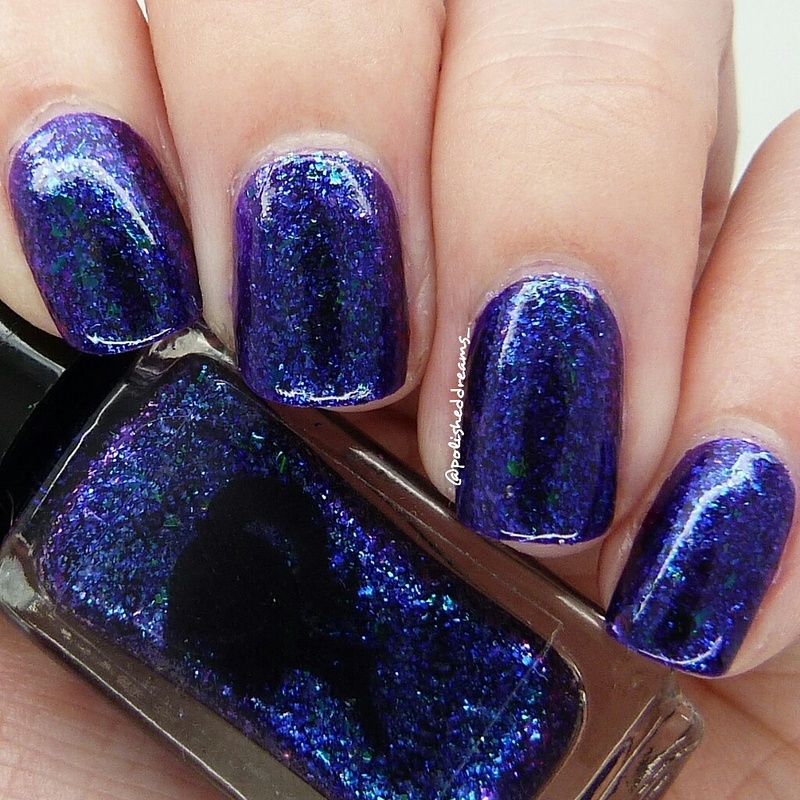 Planet Earth is a stunning purple jelly with lots and lots of flakies from the recently released Duran Duran Collection. The polishes in this collection are all inspired/named after five of Sharon's favourite Duran Duran songs. Again, shown below is two coats plus topcoat and it was another polish with a fab formula. We all know I love purple and flakies so there was just no way I could resist this! The final polish I got was Surfs Up, a teal to aqua thermal polish with metallic shimmer. 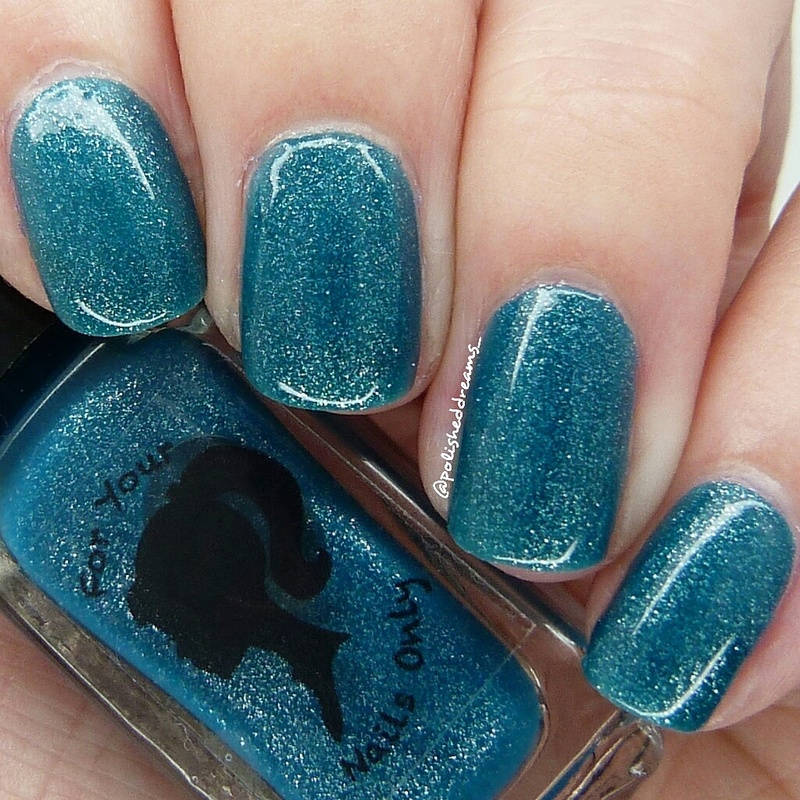 This was August's polish of the month but there is actually still a few available so get in quick if you love it! Like the others it was opaque in two coats and shown here with a topcoat. I was rather cold when swatching this so the polish spent most of the time in the teal shade which I didn't mind as it is soo pretty. 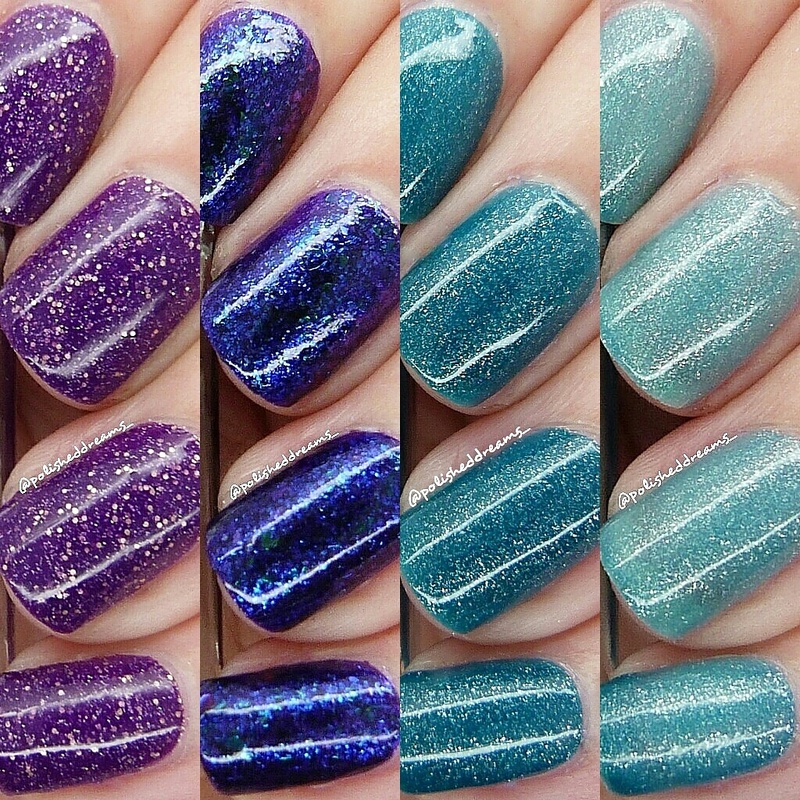 Overall I was very impressed with all three of these polishes. As I said they all had a great formula which made it super easy to apply. I'm not even sure I could pick a favourite because they're so different and I really do love them all. You can buy these and lots more from Sharon's shop here and I also definitely recommend following her Instagram for lots of sneak peaks and other pretties! As always, I hope you enjoyed this post. Can you pick a favourite? 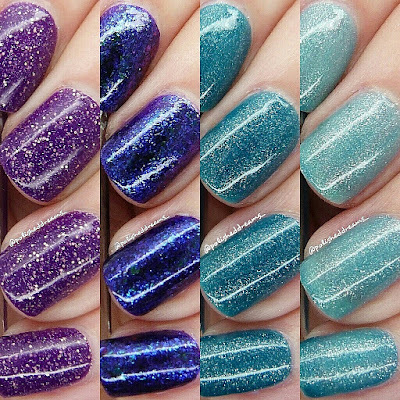 All these colours are gorgeous and look fab on you, I love how sparkly they look.